Hi everyone and welcome! Eileen Hull is currently on the Paper Trail, driving the whole width of America and travelling up into Canada in her now famous Scotty, a 1976 Serra camper van! You can find out where Eileen will be visiting and teaching classes by visiting her website www.eileenhull.com or by following her adventures on Facebook at Eileen Hull Designs where she will be doing regular FB Live videos. Following on from the hugely successful release of Eileen's 'Journal' XL Die and Katie Skilton's sell out Sizzix shows on Hochanda, here in the UK, we want to continue to celebrate the success of Eileen's 'Journal' XL Die, both here in the UK and elsewhere around the World. Anne Redfern, Tracy Evans and I are doing a Blog Giveaway and each of us is offering one of Eileen's Journal die sets as a prize! We are happy to post to winners anywhere in the world. 2. 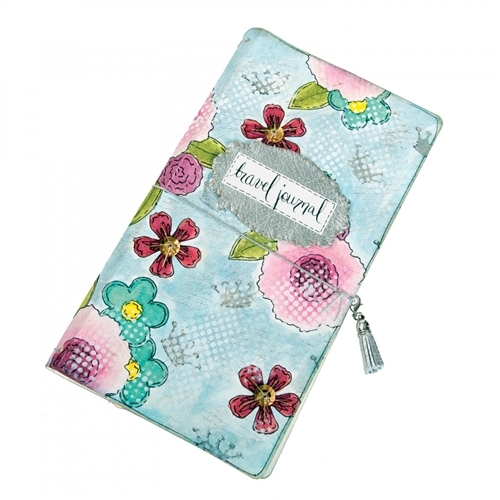 Comment and tell us whether or not you already have the Eileen Hull 'Journal' XL Die. 3. Be a member of Eileen Hull's Fan Club on Facebook. It is very simple to join and there is a lot of inspiration there as well as amazing prizes. Don't forget to visit Anne Redfern and Tracy Evans blogs for second and third chances to win. 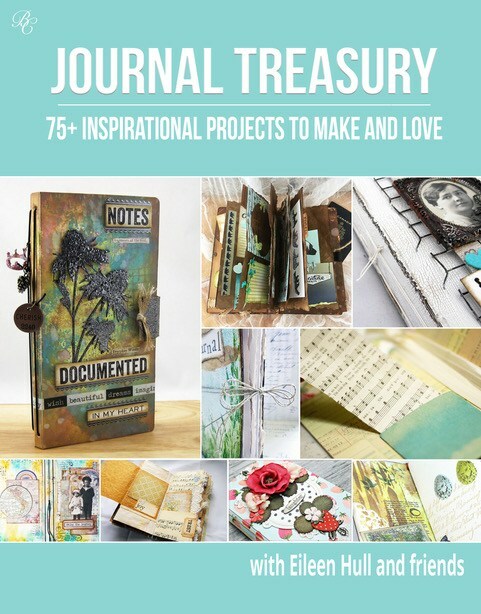 And don't forget, once you've got the journal bug you can order your digital copy of the Journal Treasury e-book with Eileen Hull and friends from Bella Crafts HERE. Available in one easily downloadable form accessible on any device, there are 85 projects (on 164 pages) from a huge number of designers who offer something to suit every taste and style. Not only do you get full page colour photos of each journal, for the vast majority you also get a comprehensive guide for how to go about creating them! Would you love to have one of Eileen Hull's 'Journal' XL Dies? Then please do join in the fun! Prize winners will be announced on 30 September 2017, on each of our three blogs. Do please check back to see if you are a winner! Would love to win Eileen Hulls amazing Journal die, already envisaging what I would create in my minds eye! I am a follower of all three of you, I do not own the die (insert sad face here) and I am a member of the Fan Club. This would be super fun to win. Hi Jenny! Followed the blogs, already a member of the Fan Club on FB and I do not have this wonderful die...Would love to though...thank you, Anne and Tracy for this huge Blog Hop...you rock guys! The possibilities with this diie are endless. Both outside and inside. Living in Australia means that we are the very last to get anything! So no I don't have the diie ( I don't like to use "die") and the extra I that I put into every "diie" is invention. Who wants to do something exactly like another. Hi Jenny! I have been a fan of your for a long time and I really admire all your amazing art! This die looks so awesome, I don't have it and thanks sooo much for a chance to win one! Thank you to all of you for this generous giveaway and fabulous inspiration! Y'all are so very sweet for doing this! May the winners enjoy and share share share their design after they get the Die! I don't have it yet, but hopefully soooooon! Yippee! Hot diggity dang this is awesome sauce! I love her dies but don't have this one yet. Thank you for the chance! So nice of you Jenny to do this hop with Anne and Tracy! Someone will be very lucky! I can not buy everything, this one I don't have.... but it's a good die! So manny beautiful journal's are made off it! What a wonderful giveaway. I am a regular over on Anne's blog and I love the journals she has created. I do not have this die but unfortunately will not be able to enter the giveaway as I do not 'do' facebook. Thanks so much for your wonderful give away. I don't have the die and would love to win. Kind regards from Tina M.
I don't have the die yet, but it has been on my wish list since it was launced at Creativation. I plan to make Christmas presents with it. What a GENEROUS prize offering, Jenny! Do you come along with it???? Seriously would love to win this die--it's at the top of my wish list! I have been hoarding the cuts Julia sent me :):). And yes, I am a follower and Autumn added me to the FB Fan Club. Thank you so much for the chance to win! Hugs! I plan to make Christmas presents with it. Eileen Hull Mini Blog Hop Giveaway - Winner!! !